The class of drugs known as dissociative drugs distort users' perceptions of sight and sound and create feelings of detachment — or dissociation — from their environment and from self. Although these effects are mind-altering, they are not technically hallucinations. Two such drugs, PCP (phencyclidine) and ketamine, were originally developed as general anesthetics to be used during surgery. DXM (dextromethorphan) is a common ingredient in cough suppressant medications, but taken in high doses can produce mind-altering effects similar to PCP and ketamine. National Institute on Drug Abuse scientists believe dissociative drugs work primarily by disrupting the action of glutamate, a neurotransmitter, throughout the brain, thereby affecting the user's perception of pain, responses to environmental stimuli and memory. Of the three most commonly abused dissociative drugs, PCP probably produces the most unpredictable reactions, especially at higher dosages. PCP can be taken orally as a pill or capsule, snorted as a powder or smoked when the powder is sprinkled over smokable substances like marijuana leaves. 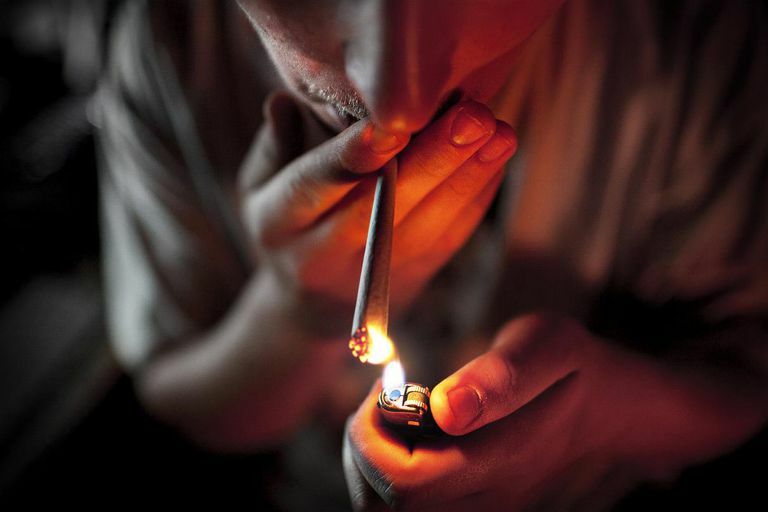 Some users will dip cigarettes or marijuana joints into liquid PCP and then smoke it. PCP is considered an addictive drug because it can create cravings and a psychological dependence on users. PCP users can become compulsive about seeking and using the drug and can experience withdrawal symptoms when they stop using it. PCP is widely known as "angel dust," but it has also been called rocket fuel, Supergrass, and embalming fluid. Ketamine was originally created as a replacement for PCP and when abused produces effects similar to PCP but less intense and shorter lasting. Known on the street as "Special K" or simply "K," the drug is still used medically as for human anesthesia and a sedative for animals. Ketamine is a powder that is snorted when used for nonmedical purposes but can also be smoked when sprinkled on tobacco or marijuana. The reaction that users get when abusing ketamine is very much dose dependent. As low doses, users can experience side-effects that include a loss of memory, learning ability and a loss of attention. At higher dosages, ketamine can cause delirium, amnesia and severe breathing problems. One study found that three days after using ketamine, some users displayed "semantic memory impairment and dissociative and schizotypal symptomatology." Dextromethorphan is a cough-suppressing ingredient found in many over-the-counter cold and cough medications usually marked "extra strength." When taken as directed, it is a safe and effective cough reliever. Taken at very high dosages, however, it can create effects similar to those of PCP and ketamine. Known as "DXM" or "robo," the drug is popular with adolescents because it is readily available compared to illicit drugs. Because it is contained in cough syrup, dextromethorphan is taken orally. Low dosages can it can produce a mild stimulant effect and possible distorted visual perceptions. At higher dosages, users report experiencing a complete detachment from one's body, like other dissociative drugs. Additionally, because the cough syrup in which dextromethorphan is found usually contains antihistamine and decongestant also, high dosages of those drugs can produce other dangerous effects, such as sleepiness, dizziness, lack of coordination, blurred vision, increased heart rate, and low blood pressure.